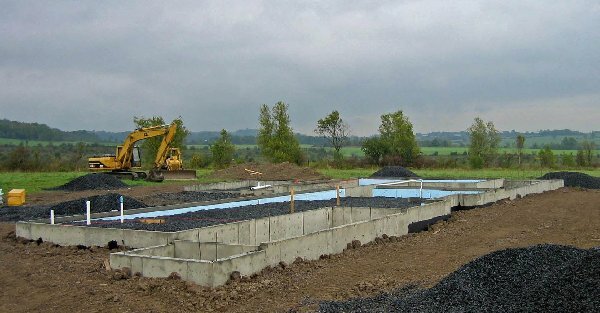 Vermont Plat House slab prep. Preparation for the pouring of the floor slab. The preparation work for pouring the ground floor slab for Vermont Plat House is under way. The radiant heating loops must be placed before the slab goes in. Plumbing is placed before the slab is poured. The builder has measured carefully to place these items. 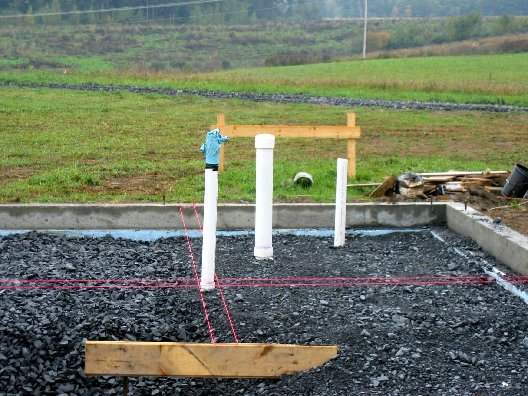 Continue reading "Vermont Plat House slab prep." 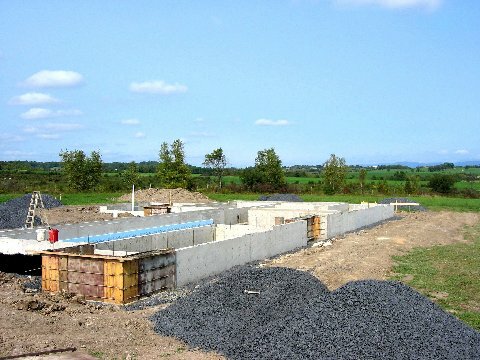 Stem walls for the foundation are in place. What I have now taken to calling the Vermont Plat House is progressing quickly. 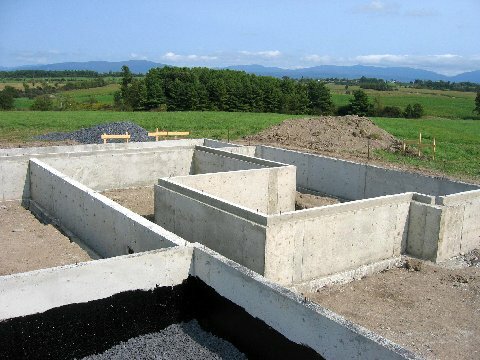 The concrete stem walls of the foundation are complete. 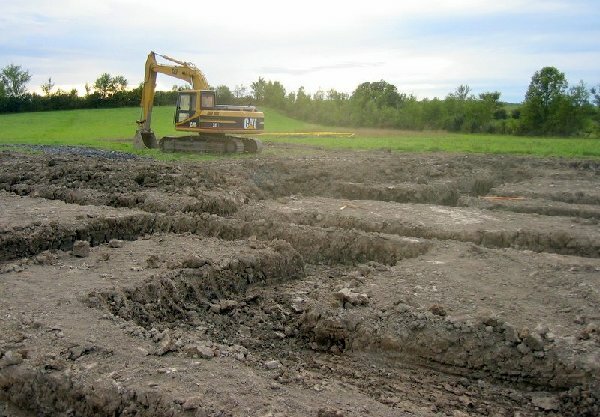 Backfilling should follow soon. 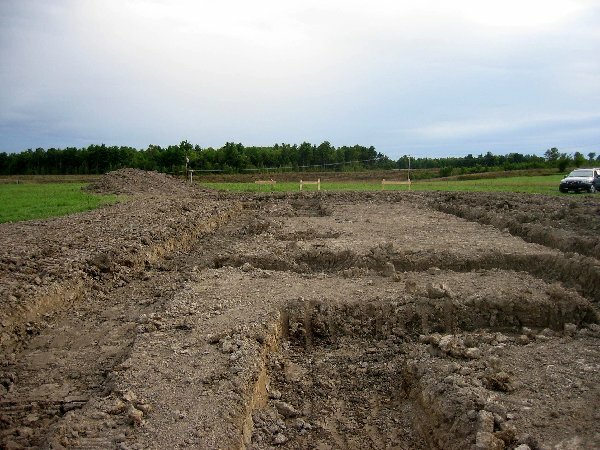 Continue reading "Vermont Plat House foundations"
Continue reading "Work begins on the Vermont Plat House"